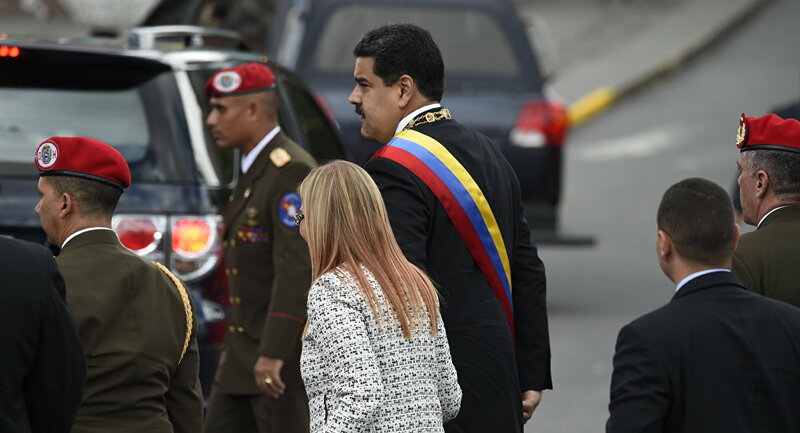 MEXICO CITY (Sputnik) - The Venezuelan prosecutor's office plans to ask Colombia and the United States for assistance in the investigation of an assassination attempt on President Nicolas Maduro, Venezuelan Prosecutor General Tarek William Saab said Wednesday. "Our prosecutors are now working on requests for mutual assistance in criminal cases to the United States and Colombia, so that they cooperate in the investigation," Saab said on television. The prosecutor general pointed out that 19 people linked to the assassination attempt had already been identified. Saab said that the suspected sponsors of the attack remained outside Venezuela. "[Colombian resident] Rayder Russo and retired National Guard Col. Oswaldo Garcia are residing in Colombia, Osman Delgado resides in the United States. The new Colombian government must extradite these criminals to Venezuela," the official said. He noted that three suspects had already been arrested, while their assets and bank accounts had been frozen. "The suspects are accused of treason, failed assassination attempt of the head of state, usage of explosive devices, terrorism, damaging property and collusion to commit a crime," Saab said. He pointed out that two drones with explosives were used during the assassination attempt. The mentioned murder attack took place on Saturday, when a military parade in the Venezuelan capital of Caracas attended by Maduro was hindered by what the authorities said was a killing attempt on the life of the president. 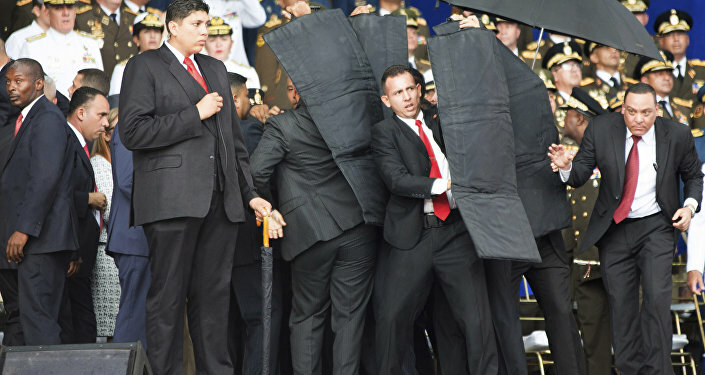 Venezuela's Information Minister Jorge Rodriguez said several drones detonated close to the presidential box during Maduro's address. The president was not injured, but seven soldiers sustained wounds. Maduro blamed the attack on Venezuelan right-wing opposition, Colombia and individuals living in the United States. Both Washington and Bogota denied any involvement in the attack.